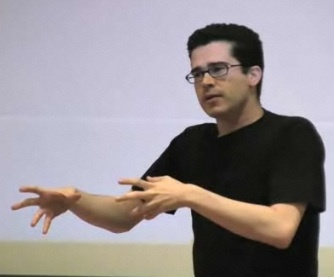 July 23, 2009 By John P.
Dave Curley, Michael Pick and I recorded and edited the videos from WordCamp San Francisco 2009, and here’s the lecture that Chris Pirillo gave on building and maintaining Web Communities. By the way, everyone be sure to contact Chris and tell him to use Woopra! We had a nice long discussion about it, but he doesn’t see the benefit of “real time” Web Analytics. So, someone other than me is going to have to explain to him how it makes a difference in your life! Listening to him right now – just LOVE him! He’s funny and passionate and a GREAT speaker! ….but…..did they pass out Benadryl to the audience? He should’ve come to Dallas – we would have been a much better audience for him!! Yes, the issue is with the video. Something went wrong with the transcoding during the upload process. I’ll see if we can’t upload it again to get a better version up. In the end the sound seems dubbed, he is speaking something and his actions are very very different or is there issue with the video? Hello John, I have tried Woopra but got tons of errors. I am waiting on their desktop client in hope it will help. Plus I like desktop management its easier for me to multi task while on the road.